For mounting selector switches or potentiometers close to connectors and signal inputs therefore avoiding long runs of signal wire. 6mm diameter couplier for connecting the shaft of the switch or potentiometer to the rod. 300mm, 6mm diameter aluminium rod with serated ends, can be cut easily to desired length. "L" shaped bracket that can be fixed to the chassis by 2 x M3 bushes. Measures 50mm high. 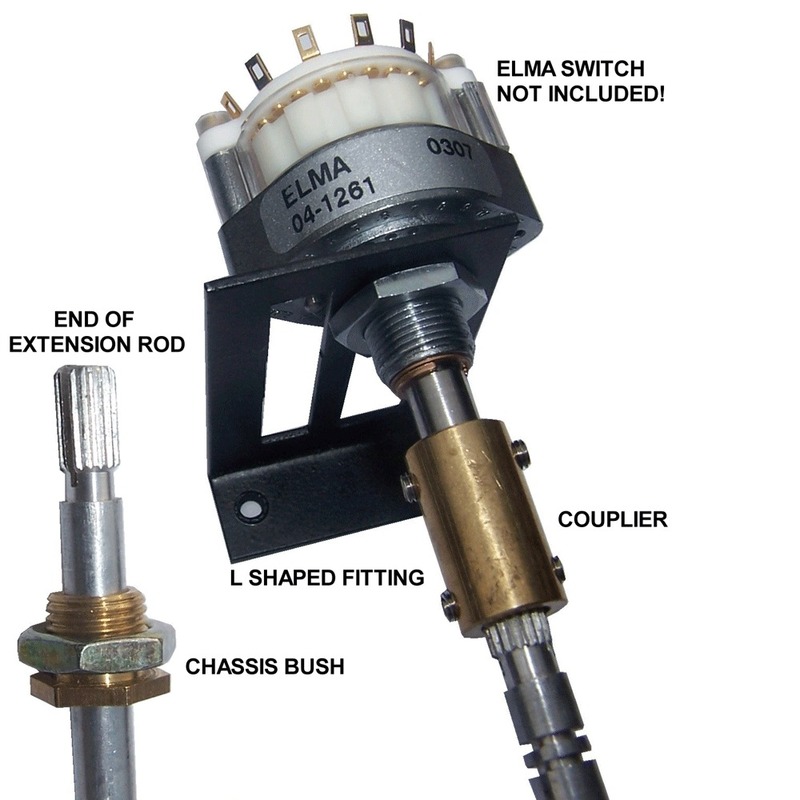 2 rectagular cutouts that can be opened up for large shaft devices such as Elmas. Mounting bush for front panel, front panel needs a 10mm diameter cut out to fit bush, inner diameter of bush is 6mm for snug fit of rod.